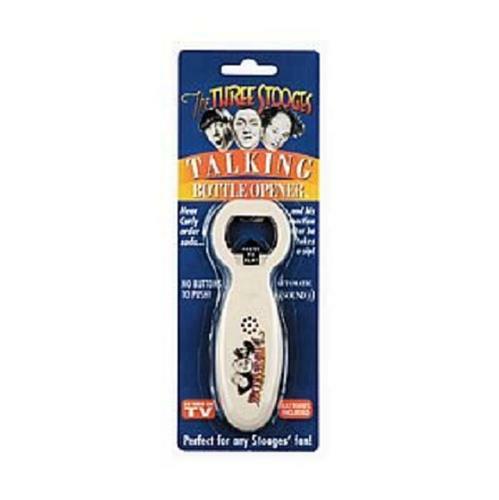 Up for sale is a REFURBISHED 3 Stooges Talking Bottle Opener! -UNIT INSPECTED, BATTERIES REPLACED AND STAPLED BACK INTO ORIGINAL PACKAGING! -Pop a Bottle Open to Activate and Hear Curly Order a Drink and His Reaction After He Takes a Sip!